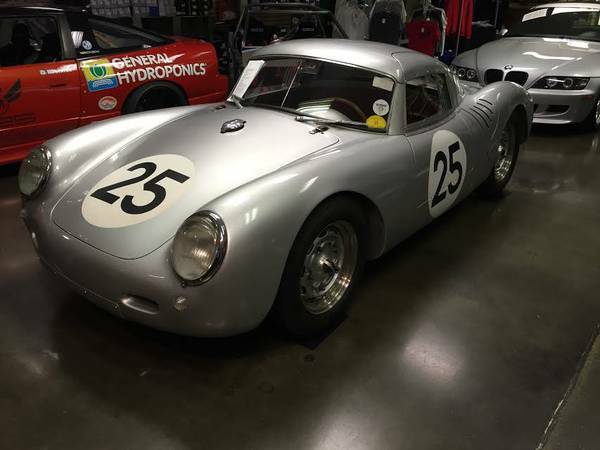 This is a1956 Porsche 550 1500RS Le Mans Coupe — Tribute car that I am selling for a friend. It was constructed in 2006 to represent 550-0104 which was destroyed and re-bodied in 1958. Roundels are decals and can be removed if desired; car is equipped with the proper “mushroom” light on the rear roundel. Also has roof mounted pit light. 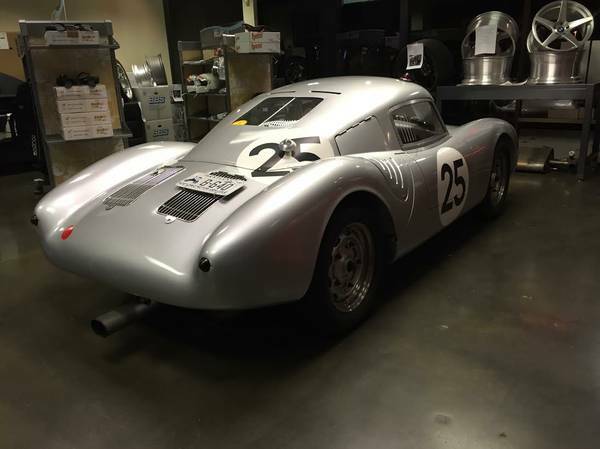 We were told this car started out as a BECK fiberglass 550 Spyder replica. The car retains the steel tube-frame chassis with added kidney bars and foot boxes. The Body is fiberglass with several alloy panels overlays. All the glass is Plexiglass and still in good condition. The paint has been dulled to look more authentic than over finished. The Interior, gauges and panels are all in great condition. Everything functions well. 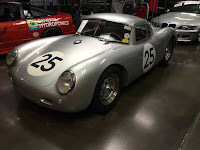 This car is a well-sorted build has appeared in The Robb Report, the Orange County Register and has been a special display at several concours events as well as being invited by Porsche North America to run fan laps at Laguna Seca at Rennsport Reunion IV in 2011. We purchased the car from the previous owner who is renowned 550 replica builder Russ Rodriguez from Azusa California. 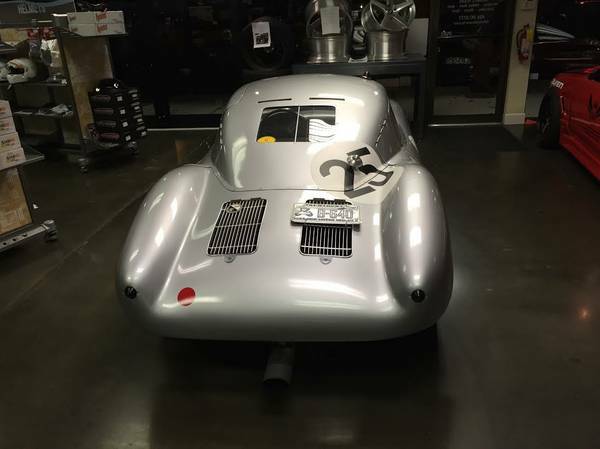 It has been in our collection for the past 5 years, and as we transition into building our own Spyder recreations in aluminum alloy, it is time for this car to find a new owner to enjoy some quality driving experiences with. We have enjoyed the car for the past 5 years and have used the car frequently on driving tours and events with flawless performance. 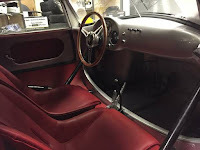 A great deal of effort was made to make sure that the details on this particular car were as correct as possible from the body fittings and badges, to the gauges, handbrake, seats, and pedal assembly. This car drives as good as it looks. It is ready to get in and go and has covered right at miles since its construction; ensuring that it is well-sorted and ready to go but not tired and in need of attention. This car is ready to go and will provide a rewarding driving experience rivaled only by the real thing! This car is often mistaken for the real thing and has been invited to concours as a special display vehicle. We are selling this car from our personal collection. . . we have several contacts for both national and international shippers if needed. Inspections are encouraged and welcomed by appointment where the car is located in Bellevue, WA at 425 Motorsports. It’s been a real pleasure to own and drive, thanks for looking! 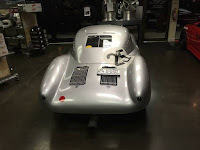 The car that this replicates is 550-0104, which competed in the 1956 Le Mans race in the 1500cc class. It placed first in class, and 5th overall. This amazing performance put the car only 28 laps behind the 4th place finisher which was in a 3.0 liter and over class! 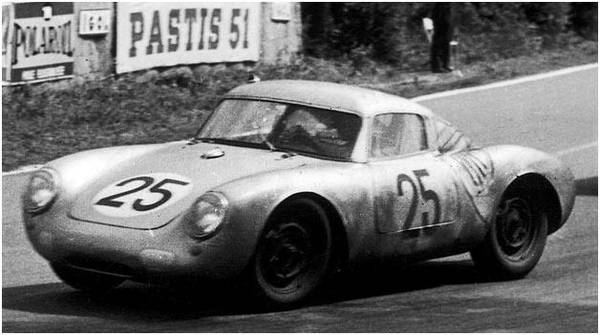 After the Le Mans race, the top was removed and the car was raced in competition in the United States until a crash destroyed the cars body. 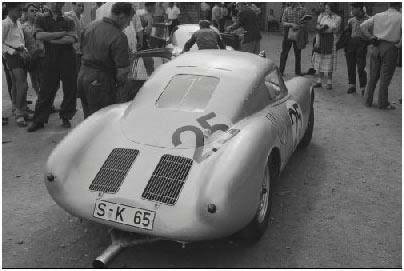 The car was re-bodied and campaigned again, however its whereabouts is unknown at this time.